Why on Earth did Dale K think he had the right to change our treasured Big Book? Some background info. Who is AAAgnostica and Tom B? 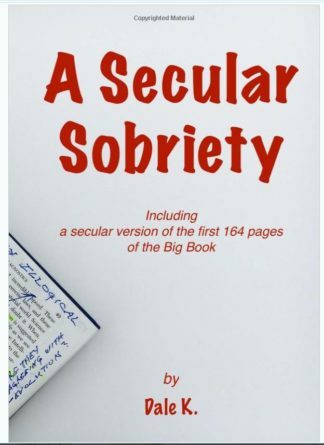 The AAAgnostica site advocates the book “Secular Sobriety” by Dale K which is a rewrite of the Alcoholics Anonymous Big Book text. aaagnostica.org and writer Tom B. are an open minded, free-thinking organization geared toward alcoholics Anonymous. They impress on us the fundamentals of a godless recovery for those who need it. (Tom B always uses a small “g”) The website’s “about” page states this: “When we use the word “agnostic” in relation to AA – or words like “atheist” or “freethinker” – we are simply referring to the specific wisdom of groups and individuals within the fellowship who understand that belief in a “God” (of any understanding) is not a necessary part of recovery from alcoholism. They advocate freedom of choice where religion and spirituality are concerned and admonish religious dogma and social prejudice that lives in the rooms of AA. Here is their email if you wish to contact them. Thomas B writes most of the articles on the site and wrote one promoting the book “Secular Sobriety”. We do not have to know “why” we became addicts to recover. If our brains are still prone to obsession it’s understandable that our sponsors suggest to us “don’t ask why”. For the sake of peace in the first few years we should both “choose our battle’s” wisely and choose our purposes and goals wisely. “Out of the problem into the solution” is by far one of my most valuable mantras for recovery. However moving on into a more mature lifestyle I am discovering my truths and who I am. If I question nothing and never ask “why” I shut myself out to both knowledge and learning. This flipside of the “why ask why” coin is both dangerous and lacks depth. A lack of learning is akin to a stagnant mind and stunted emotional growth. My mind should have moved on into sanity at some point. If I work the steps and get some good therapy. First let me tell you this. I have had long periods of sobriety then relapsed. My last sober run beginning in 2006 and still going strong. Oddly the topic of addiction interests me thoroughly even today after years of sobriety. So what is addiction really? Is it cunning, baffling and powerful? At some point we can all agree that “yes” it is. What does the Big Book tell us? It’s insidious, progressive, deadly, destructive and a spiritual sickness or malady of sorts. Some says it’s inherited and genetic. Some say it grounded in our environment. “From it stem all forms of spiritual disease, for we have been not only mentally and physically ill, we have been spiritually sick. 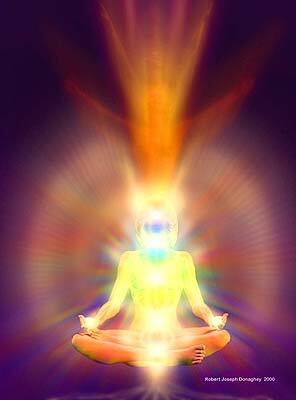 When the spiritual malady is overcome, we straighten out mentally and physically.” Big Book fourth step. There’s that contradiction again “spiritually and sick”. Spirituality is in some ways a replacement drug for addiction. FACEBOOK IS A PRIME PLATFORM FOR CHARACTER ASSASSINATION. So what is the legal definition of defamation of character and who does it really hurt. Defamation of character occurs when someone makes a false statement about you that causes you some type of harm. The statement must be published like on a Facebook page(meaning some third party must have heard or seen it). It must be false, and it must result in harm, usually to the reputation. Defamation of Character Lawsuits happen all the time. 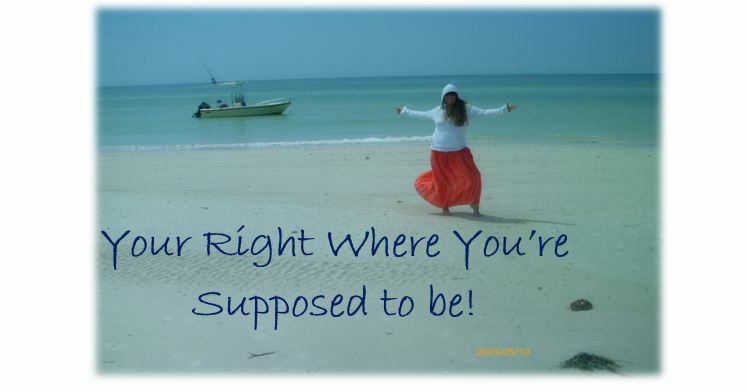 In recovery, if we are in a 12 step program that means we are trying to live by spiritual principles. It means that we have put our life in God’s care and we are making an effort to trust God with our well being. This spiritual recipe for living takes revenge and doing harm to others off the table. It means that when we are wronged we pray for our enemies and try to understand that when someone trashes us on Facebook they are a sick person and their actions are rooted in fears of various flavors. So when I see my picture plastered all over someones FB wall with lies and vicious comments and I want to destroy the person I don’t Furthermore I may want to call their parole officer and report them for this real crime of defamation of character. But I don’t. Also this is a man that I have done many good things for. I helped him in many ways and with charity. So, I pic up my prayer tool and pray for him. I ask for all the blessings of heaven and earth to cover him. I never argue and engage in defensive strategies. I call another person in the program and vent my anger. I write a Step Four resentment grid that might look something like the following. And remember just because I know that I am right and good in my intellectual mind my feelings have a mind of their own. My heart does not have to be either logical or reasonable. To expel the resentment I examine my own core fears. I am afraid that others will believe the accusations. This fear is rooted in my own insecurity. My heart thinks I am not good enough and not as good as other people. I fear at my core that somehow what this man said about me is true. (illogical but real and important to recognize). My carnal reaction is to run to my own defense and argue and send out messages to the people reading the lies. I fear I am not good enough. I fear that God will not protect me and that certain and sure damage will be done to me by these evil posts. My society fear kicks in (reputation), my security fear kicks in because he is also crucifying my business websites as being unfair, evil, and dishonest. 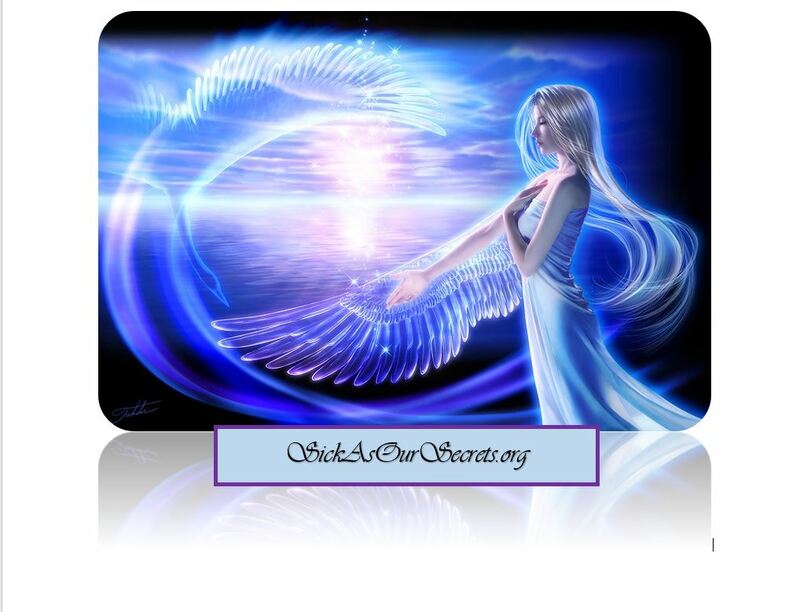 Although I have taken no wrong action since I have resentment and want revenge I now have a “my part” that needs addressed before I can let it all go. So what is my part? I am not trusting God and I have certain insecurities called “fear of what people think of me”. This is why the mans sin angers me and I am resentful. I want this man to be righteous and he isn’t. So I have some “controlism” in there also. Please know that at the same time my anger is just and my feelings which want my reputation clear are just as well. Nevertheless I want the resentment and obsession over it to be gone so I…. 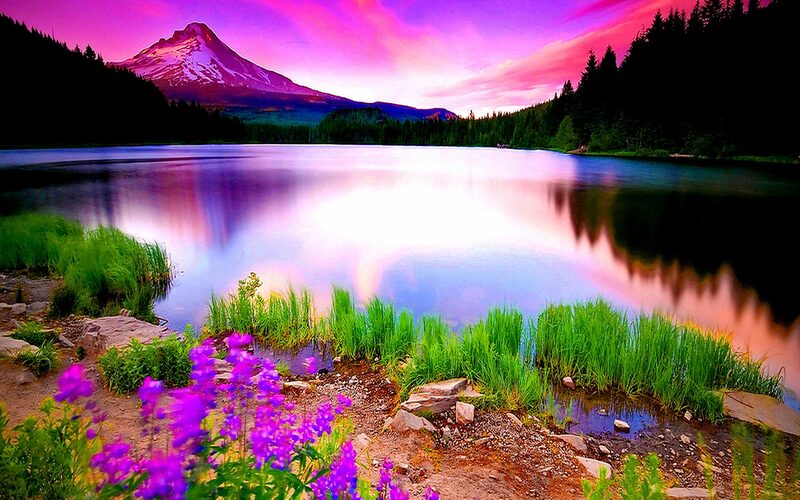 I ask God to remove my character defects of fear, control and distrust of God. and to replace them with Love and understanding I DEPLOY LOVE IN DEFENSE OF EVIL AND FEAR. I ask God to help me trust Him and to give me understanding toward the man. Jesus said pray for those who despitefully use you. It is also written In Proverbs that to “return evil for good” is one of the most dangerous sins because of the karmic laws in place. I helped this man and had good motives and actions toward him. He took my charity and crushed it under hate and fear. So me and this man bot have fear it’s the actions which define us, not our fear. Without fear their is no such thing as courage and overcoming. Evil will never leave the house of one who pays back evil for good. My anger is valid and the proper reaction to being attacked. But I am responsible for processing my anger. The man that told the public lies cannot relieve my anger and resentment this I must take action to relieve. And so I have done the work to fend of bitterness. I am no longer hurt by the wrong done to me. However the man that did the deed, unless Grace intervenes to block the karma of “evil will never leave his house” he is majorly squittled. His hate and wrong actions toward me will never relieve his feelings of fear and wrath. By his actions he intensifies his short-comings and he works on separating himself from his God. He is making a spectacle of himself to the people who see through his actions. 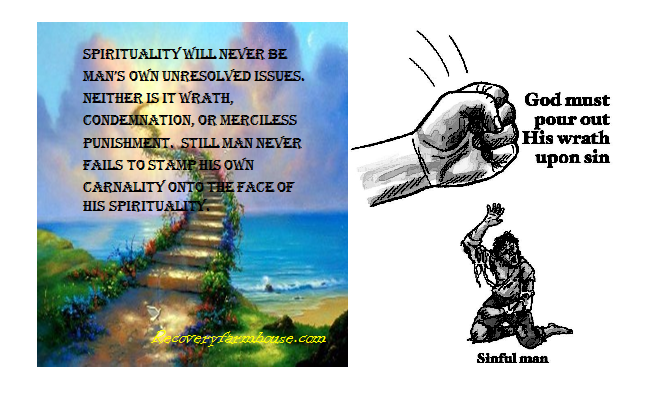 A good and spiritual man will rarely engage in rallying support for the direct punishment of another human being. Good people know that if we are wronged we pray for that person not trash them on Facebook. We recognize that if someone is trashing another person on Facebook it is most likely the man doing the trashing who is actually the guilty party. I was not able to find any scientific evidence stating addicts stunt their emotional growth the minute they start drinking and drugging to cope with their feelings. What is emotional maturity? A mature person takes responsibility for their own feelings and actions and learns what to do with their emotions (contrary to repression or blame). Coupled with the acceptance of others and the ability to NOT PLAY GOD. They show respect toward their fellow man and do no harm to themselves or others of any form. But it’s obvious and common-sense that when we no longer use healthy emotional coping skills we resort to unhealthy ones. Drinking and drugging to mask intense fear and inferiority issues causes emotional stagnation. This emotional numbing process goes hand in hand with suppressing feelings. For instance instead of crying when we are hurt we pound down a twelve pack and become an angry drunk because we think to be hurt shows weakness so we never address the core “emotional hurts” behind our anger. The supposedly “recovering” addict can engage in a similar sick emotional process while sober. Just substitute blame or any character defect in place of the twelve pack and we can still repress our emotions and stay in denial of fear and pain. My own inadequacies are haunting me even after years of twelve step work, therapy, and spiritual experiences. There seems to be no permanent remedy to character defects and perfectionism. 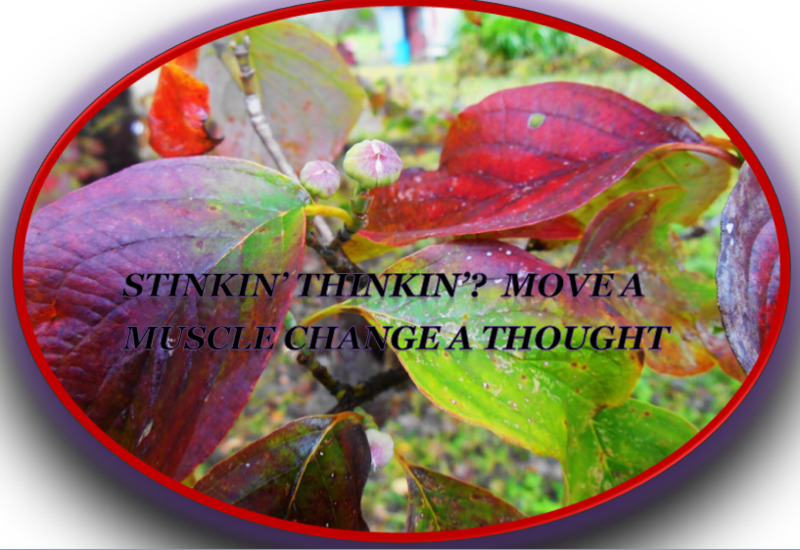 But rather it takes spiritual maintenance (steps 10-12) to stay positive and emotionally healthy once sick emotional processes have been introduced to the brain (especially in the formative years). I really do dislike the fact that I can’t be fixed once and for all and that I will always need spiritual solutions BUT there are worse things. 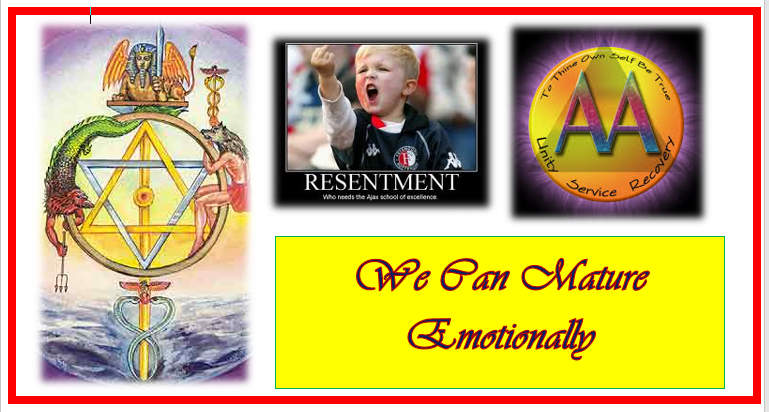 Before we can mature emotionally in sobriety we need to learn how to process our feelings. Sounds like psycho-babble right? Emotionally healthy people use processes like this for instance. First we admit our emotional pains, insecurities and fears. We moan, scream (not at anybody) or cry them out, that’s why God made tear ducts. And we write them down. We share them with someone and then we give them to God. Fear itself is not the character defect because it’s a feeling and feelings are part of us. Actions however, can be defective. We are clearly not trusting our Higher Power if we are paralyzed by fear. We ask for God’s help with our lack of faith and trust. We can use a God box to help us let go of the things that we are putting in God’s care. Now if you or your sponsor have labelled any part of natures healthy emotional processing techniques as “character flaws” and have deemed crying as “self-pity” and labelled sharing and writing our fear list as “self-centered & self indulgent” then it’s time to fire our sponsor and find one that is compassionate and understanding even empathetic. Steps Ten through Twelve do work just as step four and five works to clear the wreckage of the past. But when it comes to fear addicts and alcoholics seem to be loaded down with more fear than the average person. I believe this is because we were introduced to fear as a result of some childhood emotional trauma and it set the ball rolling in our brains. And so we set out for a solution to our fear based feelings and double helping of shame that came with it. It’s imperative that in recovery we learn to open up about who we are and how we feel. The tough girl, tough boy facade must be left behind. We will mature emotionally if we allow natures process to flow through us rather than getting stuck. 1. Our common welfare should come first; personal recovery dependsupon A.A. unity. 2. For our group purpose there is but one ultimate authority — a loving God as He may express Himself in our group conscience. Our leadersare but trusted servants; they do not govern. 3. The only requirement for A.A. membership is a desire to stopdrinking. 4. 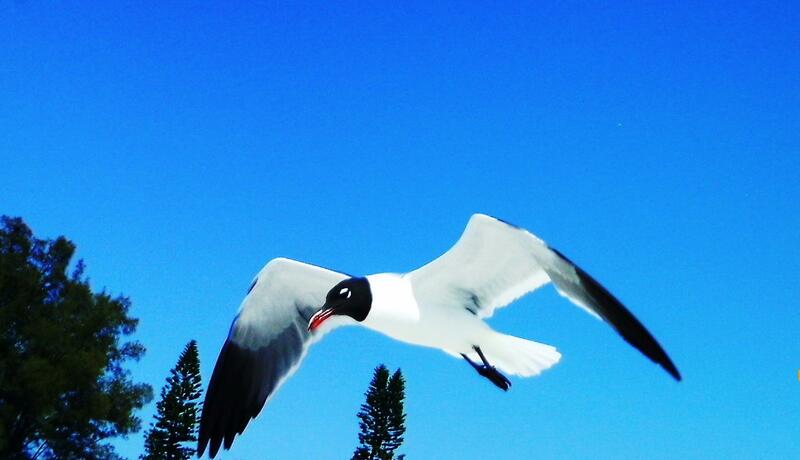 Each group should be autonomous except in matters affectingother groups or A.A. as a whole. 5. Each group has but one primary purpose — to carry its messageto the alcoholic who still suffers. 6. An A.A. group ought never endorse, finance, or lend the A.A.name to any related facility or outside enterprise, lest problems of money,property, and prestige divert us from our primary purpose. 7. Every A.A. group ought to be fully self-supporting, decliningoutside contributions. 8. Alcoholics Anonymous should remain forever nonprofessional,but our service centers may employ special workers. 9. A.A. as such, ought never be organized; but we may create serviceboards or committees directly responsible to those they serve. 10. 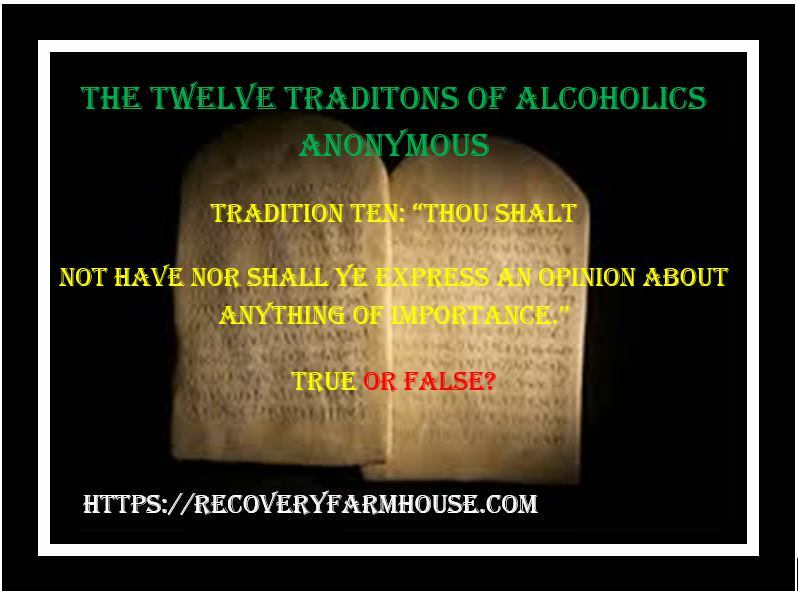 Alcoholics Anonymous has no opinion on outside issues; hencethe A.A. name ought never be drawn into public controversy. 11. Our public relations policy is based on attraction rather thanpromotion; we need always maintain personal anonymity at the level of press,radio and films. 12. Anonymity is the spiritual foundation of all our traditions,ever reminding us to place principles before personalities. 1. Each member of Alcoholics Anonymous is but a small part of a great whole. A.A. must continue to live or most of us will surely die. Hence our common welfare comes first. But individual welfare follows close afterward. 2. For our group purpose there is but one ultimate authority — a loving God as He may express Himself in our group conscience. 3. Our membership ought to include all who suffer from alcoholism. Hence we may refuse none who wish to recover. Nor ought A.A. membership ever depend upon money or conformity. Any two or three alcoholics gathered together for sobriety may call themselves an A.A. group, provided that, as a group, they have no other affiliation. 4. With respect to its own affairs, each A.A. group should be responsible to no other authority than its own conscience. But when its plans concern the welfare of neighboring groups also, those groups ought to be consulted. And no group, regional committee, or individual should ever take any action that might greatly affect A.A. as a whole without conferring with the trustees of the General Service Board. On such issues our common welfare is paramount. 5. Each Alcoholics Anonymous group ought to be a spiritual entity having but one primary purpose — that of carrying its message to the alcoholic who still suffers. 6. Problems of money, property, and authority may easily divert us from our primary spiritual aim. We think, therefore, that any considerable property of genuine use to A.A. should be separately incorporated and managed, thus dividing the material from the spiritual. An A.A. group, as such, should never go into business. Secondary aids to A.A., such as clubs or hospitals which require much property or administration, ought to be incorporated and so set apart that, if necessary, they can be freely discarded by the groups. Hence such facilities ought not to use the A.A. name. Their management should be the sole responsibility of those people who financially support them. For clubs, A.A. managers are usually preferred. But hospitals, as well as other places of recuperation, ought to be well outside A.A. and medically supervised. While an A.A. group may cooperate with anyone, such cooperation ought never go so far as affiliation or endorsement, actual or implied. An A.A. group can bind itself to no one. 7. The A.A. groups themselves ought to be fully supported by the voluntary contributions of their own members. We think that each group should soon achieve this ideal; that any public solicitation of funds using the name of Alcoholics Anonymous is highly dangerous, whether by groups, clubs, hospitals, or other outside agencies; that acceptance of large gifts from any source, or of contributions carrying any obligation whatever, is unwise. Then too, we view with much concern those A.A. treasuries which continue, beyond prudent reserves, to accumulate funds for no stated A.A. purpose. Experience has often warned us that nothing can so surely destroy our spiritual heritage as futile disputes over property, money, and authority. 8. Alcoholics Anonymous should remain forever nonprofessional. We define professionalism as the occupation of counseling alcoholics for fees or hire. But we may employ alcoholics where they are going to perform those services for which we might otherwise have to engage non-alcoholics. Such special services may be well recompensed. But our usual A.A. 12 Step work is never to be paid for. 9. Each A.A. group needs the least possible organization. Rotating leadership is the best. The small group may elect its secretary, the large group its rotating committee, and the groups of a large metropolitan area their central or intergroup committee, which often employs a full-time secretary. The trustees of the General Service Board are, in effect, our A.A. General Service Committee. They are the custodians of our A.A. Tradition and the receivers of voluntary A.A. contributions by which we maintain our A.A. General Service Office at New York. They are authorized by the groups to handle our over-all public relations and they guarantee the integrity of our principal newspaper, the A.A. Grapevine. All such representatives are to be guided in the spirit of service, for true leaders in A.A. are but trusted and experienced servants of the whole. They derive no real authority from their titles; they do not govern. Universal respect is the key to their usefulness. 10. No A.A. group or member should ever, in such a way as to implicate A.A., express any opinion on outside controversial issues — particularly those of politics, alcohol reform, or sectarian religion. The Alcoholics Anonymous groups oppose no one. Concerning such matters they can express no views whatever.